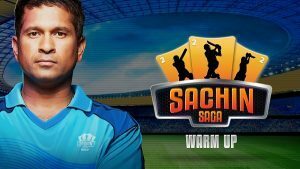 playizzon – JetSynthesys, India’s leading company in the digital and technology business world today announced the launch of a unique game on cricket, ‘Sachin Saga Warm Up’ under its gaming arm Playizzon. JetSynthesys Pvt. Ltd. is part of the Navani family. JetSynthesys is the group’s most innovative company in the promising Digital and Technology Business World with a vision to create world class digital products, platforms and services in India and play an active role in the digital daily life of 1.3 billion Indians extending that to all individuals on the planet through very powerful targeted big data analytics and unbeatable content and user experiences. The company is currently attempting to reach every household member in India with content that is curated responsibly and resonates with the aspirational needs of its consumers.